One of the biggest, most daunting milestones every driver faces in life is buying a first car. Of course, getting to this point is enough of a challenge; you’ve spent hours upon hours learning to drive, taking your test (likely multiple times), and finally received your license. You’ve observed other drivers, you’ve familiarized yourself with the rules of the road, and you’ve proven to be a safe, reliable person behind the wheel. However, once all those key steps are out of the way, the process of purchasing your own vehicle can seem long and difficult. If you’ve gotten used to sitting behind the wheel of a parent or friend’s car, having to jump to a new vehicle, one which you’re completely responsible for, might seem to be a big step. It doesn’t have to be, though. With enough research, thought, and help, buying your own set of wheels and hitting the road can be easier, and more fun, than you expect. Following this list of 10 tips will help to make buying your first car simpler than ever. This might sound obvious, but if you’re not careful about establishing a budget early in the process, you could end up falling in love with cars you simply can’t afford, but can’t say no to, either. Deciding on a budget means thinking rationally and realistically, focusing on how much you can afford each month, and what impact this additional expense will have on your overall finances. Said impact will vary depending on your current personal and financial situation. Are you still in school or college right now? If so, chances are you’ll be living on loans and/or a part-time job, though money may still be tight. On the other hand, if you’re working full-time, you should have access to a little more cash. But just because you have full-time employment doesn’t mean you can go for the most expensive car at the dealership. You need to also consider whether your circumstances are likely to change in the near future. If you are in a relationship, are you and your partner planning to get married or have kids? Do you want to make sure you still have money to save every month for vacations, house deposits etc., or are you happy to make your car the key expense instead? All of these factors have to be considered, as do other expenses related to the car, such as fuel, maintenance, and insurance. Following on from our first point, it’s vital to limit your focus to the cars your budget will realistically allow for. You might well convince yourself that the flashiest, sleekest, coolest car you’ve seen at a high-priced dealership somehow falls into your affordability range, but you’re only setting yourself up for disappointment. It’s natural to fantasize about cruising in the kind of vehicle a Hollywood star would drive, but you need to focus on the most important features rather than how cool you’ll look. Work out how much you can afford to pay each month, keeping in mind the insurance and upkeep costs, and search for vehicles that fall within this range only. Don’t torture yourself by trying to work out how many other jobs you need to get to afford that lush car. Don’t be afraid to make your first car all about function rather than form; the time may come in the future where you can upgrade to the one you’ve dreamed about. Until then, though, a cheaper, simpler car is the better choice, and it will leave you with more money for other expenses that my pop up throughout the month. To help refine your choice even further, you should spend a little time considering your practical needs compared with your wants. Think about the type of lifestyle you lead, the environments you drive through, and the responsibilities you have. Are you likely to face tough terrain or will you be on smooth highways most of the time? Will you need to drive in wet or icy conditions often, or do you live in a warmer climate all year round? Do you have to cover long distances every day, or make short trips instead? The answers to the above questions will help you determine the type of vehicle you need. If you expect to make long drives on a daily or regular basis, you should invest in the most fuel-efficient car you can afford, rather than a gas-guzzler that’s going to up your monthly expenses. Likewise, if you will be driving on challenging terrain, you’ll need a car that’s built for the great outdoors rather than a less-robust vehicle designed with only the city in mind. This all might sound like a lot of thought for a first car, but once you identify your essentials, the process will get a lot easier. Once you have a fair idea in mind of the kind of first car you need, you should go online and start researching the particulars of your target vehicles. Look at the typical prices you can expect to pay, and what sort of financial plans are available for them. There are plenty of websites that provide these details, like Kelly Blue Book and Edmunds, so take your time and try to find out as much as you can. The more you know about the costs associated with certain types of vehicles and the various models available, the more you can continue to identify possible choices. Don’t be afraid to scour forums to look at the opinions of other drivers, and see how people with similar lifestyles and budgets to yours handle their purchase. If you’re looking into a used car, read up on the information surrounding them and what type of warranty you should expect. If you have a list of potential first car models or styles with you when you start approaching dealerships, you can save time and make the buying process far simpler. You may have a wide choice of dealerships in your town or city. Perhaps you drive past several on your way to work, or live locally to a number of different businesses. Of course, you might have never been near a dealership in your life and have no idea how they operate. This also, is something you should check out online, to make sure you’re familiar with the buying process. Look up the dealerships local to you, and investigate their customers’ feedback. Have they been in business long? Are there many satisfied buyers sharing their experiences, or do the majority of customers warn others away? Financial plans are another important factor. Certain dealerships provide buyers with instant approval for an auto loan, regardless of your credit rating. The credit score you have will affect how specific lenders see you; if you have a good or excellent rating, there’s unlikely to be a problem, but a poor score could make securing financing a bit more challenging. Look into which dealerships have in-house financing, and whether they accommodate first-time buyers with little or no credit history behind them. Taking your potential first car for a test drive can mean all the difference between finding the perfect vehicle versus eventual disappointment. The car may look great and have decent specs, but you won’t know for sure how suitable it is until you actually get behind the wheel for the first time. Most dealerships will allow you to take any car you’re interested in for a test drive; after all, they want to make sure you stay satisfied after you drive away from their dealership, and eventually come back as a repeat customer. Ideally, your test drive should take place in the conditions you expect to be driving in. There’s no use buying a car that doesn’t handle on wet or icy roads too well when that’s exactly why you need it, nor do you want to invest in a model that consumes more gas than you can afford. Your sales person will be looking to help you find the ideal car for your budget and needs, so be honest about your expectations and requirements. Don’t be afraid to see how much leeway there is on your preferred car’s price. One useful tactic is to look up other local dealerships and see if they sell the car or cars you’re interested in, and compare the costs. If one is cheaper than the other, you can bring this up and see if they’re open to negotiation. Not every dealership will be willing to take money off, of course, but some may, especially if they can see that you’re serious about making the purchase. If they can’t, or won’t drop the overall price, they may throw in some freebies or discounts to help ease your financial strain. If they are willing to discuss the price, though, just asking may be enough to start making deals. Buying your first car is a big step, but be wary of anyone trying to take advantage of your inexperience and make a quick buck. You should be willing to ask questions and ensure you feel completely satisfied with a car before you agree to hand over any money, and sign a contract. If you’re buying a new car, you don’t need to find out about the car’s previous usage and whether any major repairs have been performed, but you do need to get that information if you’re looking to get a pre-owned vehicle. Generally, whether from a used or new car dealership, pre-owned cars are checked and maintained to a high standard before being put out for sale, especially at the most reputable dealerships. And it’s essential to ask important questions about fuel efficiency, key features, and after-care services. One quick, simple way to make buying your first car much easier is to ask an experienced driver to accompany you on your search; maybe a friend, a relative, or a colleague. Whoever it is should know a thing or two about buying vehicles, about what it costs to keep one running and in good condition, and any potential warning signs to watch out for. If they can bring that knowledge with them to the dealership, you can let them steer discussions with the sales person and learn about the process. Having someone experienced alongside you can be a real confidence-booster too, encouraging you to ask questions, negotiate prices, and generally make sure the car you buy is the perfect one for your needs and budget. When all is said and done, though, you should avoid rushing into buying your first car as much as you possibly can. Depending on your situation and responsibilities, this may be easier in theory than practice. After all, if you have a child on the way, or have other specific transportation needs, having a car may make life much easier, allowing you to avoid the challenges of taking public transportation. And if you have a long commute to and from work every day, having your own vehicle can help you save money and avoid frustrating delays. In cases like these, investing in a first car may be somewhat urgent, but if you can afford to wait until you find the ideal vehicle, do so. If you let yourself get pressured into buying the first possibility you come across, you may find yourself regretting it down the line. Your first car is a special purchase, and you should feel proud and happy with your choice. Don’t spend any money until you know you have the right car for your budget, lifestyle, and responsibilities. This should be an exciting time in your life, as you discover the independence and convenience that your own set of wheels brings, so try to make the most of it. After all, you’ll only get to buy your first car once. We, at Citi Auto Group, believe these tips should give you all the information you need to make buying your first car much easier. Our staff is always available to answer any questions you may have, and to help you find the best vehicle that fits your needs and budget. Feel free to stop by our dealership, check out our inventory, our financing options, and test drive any cars you may be interested in. PHILADELPHIA, Nov. 3 – Citi Auto Group, which offers the very best deals on a fine selection of pre-owned vehicles to families across the entire Delaware Valley, is now giving a complete Thanksgiving dinner to a Philadelphia family in need. “As a resident and native Philadelphian, myself and the entire team here at Citi Auto Group are committed to giving back to this great city that we love so much," says Joe, owner, Citi Auto Group. It is the first time the company is making this gift, which they envision as becoming an annual tradition. Anyone can nominate a family this holiday season by sending an email about the family to citiautogroup1@gmail.com. The deadline for receiving the email is November 15. If you know a deserving family, don’t hesitate to email the team at Citi Auto Group. They’ll be waiting for your nomination. Citi Auto Group is proud to offer a wide range of certified pre-owned vehicles to meet anyone’s needs. The company chooses only the finest used cars and sells them at fair prices. The staff is passionate about what they do and their attention to customer service exemplifies this attitude. With every customer’s best interests at heart, you can be certain that Citi Auto values your business. Besides choosing your vehicle from Citi Auto, there is financing to consider. But that’s never a problem. Citi Auto offers auto loans to customers, regardless of credit history. Financing is important when it comes to purchasing a vehicle, and we make sure that your credit history never holds you back. We’ll be sure to find a solution that works for you. Remember, at Citi Auto Group, we are dedicated to providing you with the right auto loan, even if your credit history is poor or you have no credit. All applications are accepted. We take customer service very seriously here at Citi Auto Group. Our team of dedicated professionals is among the best you’ll find anywhere. Day in, day out, we work hard to find the right vehicle and auto loan for you. We can be trusted to understand your wants and needs as a driver and customer. As part of our commitment to customer service, we offer complete and comprehensive warranties to all our customers. Finally, it’s important to know that we accept all trade-ins, making it easy to transition from your old vehicle to a new one from our pre-owned vehicle selections. We’ve already helped hundreds of people find the ideal vehicle for them while also helping them get the right auto loan. Don’t forget: credit history isn’t a factor at Citi Auto Group. Drop by when you can to choose the right car and auto loan from us. We sincerely look forward to meeting you. For most Americans, a car or truck is vital to everyday life. Having your own transportation empowers you to do exactly the things you need to do, from driving to work and medical appointments, to picking up groceries and getting the kids to and from school. It’s all about independence. It’s about having the freedom to come and go as you please, without having to rely on buses, trains, or rides from others. In short, your own vehicle liberates you from depending on the schedules, or in some cases the kindness, of others. However, if you no longer have a car or truck, or yours is no longer useable, getting back behind the wheel can seem like a daunting prospect. After all, buying a new vehicle doesn’t come cheap, and most Americans must secure a loan to finance their new purchase. It should be simple enough to do, but it may not be; your ability to get an auto loan that’s within your individual budget and lifestyle depends on your credit score. Countless banks and dealerships will only provide you with the loan you need if you have a credit score that meets their requirements. At Citi Auto Group, we aren’t one of them. To help you understand how and why we make getting an auto loan so much easier than the rest, let’s explore credit scores, loans, and everything else you need to know. Credit scores and histories are integral to modern life. Even if you have no idea how they work or what they mean, you no doubt have heard of them, and how important they are. Personal credit information is collected on individuals by credit bureaus, or credit reporting agencies, who then make that information, in the form of credit reports, available to banks, lenders, and credit card companies. Though the United States is home to several credit bureaus, there are three main ones – Equifax, Experian, and TransUnion. While these aren’t owned or operated by any government agencies, they do have to follow regulations set out by the Fair Credit Reporting Act. These bureaus get their information from credit card companies, banks, and companies with which you may hold an account, all contributing to your credit report. Everyone has the right to access their personal credit report, and each of these agencies are obligated to provide one free report to you per year. If you have already requested the free ones you’re entitled to, you can pay a nominal fee to get the latest copy. Keeping control of your finances and knowing exactly how your repayments are measuring up on existing loans and credit cards can be difficult, especially if you have many active accounts. However, taking your eye ‘off the ball’ can leave you with late or missed payments, causing your debits to increase over time. You may end up with a poor credit score without realizing it until you apply for a loan. With a low rating, you’ll likely be unable to secure financing for a new vehicle from a bank or most dealerships because they will see you as a high risk. If you have a history of missed or late payments, they will assume you will do the same to them if they give you a loan. This can leave you without the money you will need for your car or truck purchase, and, as we’ve already discussed, the majority of Americans depend on personal vehicles for their everyday lives. And countless people use their personal cars or trucks for their livelihood too. Perhaps you make deliveries, run a towing business, or something similar; you might not be able to afford to continue your business for too long without your vehicle, so being able to buy a new one can be critical to your livelihood. Obviously, you’re encouraged to have the highest possible score you can, but that’s much easier said than done, of course. Though credit ratings in general have continued to rise, plenty of us may be struggling to get our credit scores under control. 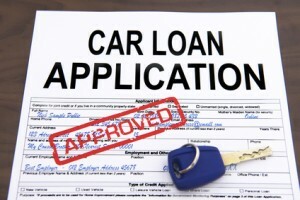 How can Getting an Auto Loan Help Boost Your Credit Rating? Believe it or not, getting an auto loan can boost your credit rating and improve your score over time. But how? Let’s say you take out a loan to make some modifications to your home or to buy new furniture; the amount would be determined by the modifications to be done, or the amount and styles of the furniture. You might need a small loan to cover your costs, but you may decide to take a larger amount to cover the possibility of higher unexpected costs, potentially burdening yourself with payments you struggle to make on time. Being late on your payments could result in late charges and an increase in your interest rate, and your debts may mount up more and more over time. As the costs grow, you’ll find yourself having to measure how your other expenses fit in with this loan; your utility bills, your mortgage or rent, your family dependencies, and more. This can become increasingly stressful, affecting your quality of life, and leaving you with far more money to pay back than you can handle. This isn’t to alarm you, it’s only to illustrate how difficult managing your loan payments can become if you take out an amount that’s too much for your budget and lifestyle. Some lenders may well offer you a bigger loan regardless of how this may affect your personal finances, just so the interest builds, and the payments increase. Assuming your credit score is not very good, but you’re now in a better financial position than you were, taking out an auto loan can be your chance to show how responsible and punctual you can be with your payments. If you could secure an auto loan that’s tailored to your budget, even with that poor credit history, you should be able to keep up with the payments. The number of payments and the payment amount will vary depending on the amount and length of the loan itself, but you must be sure you can meet the payments in a timely manner. As you continue to make your payments, you will be able to build your credit rating back up. Eventually, you’ll have a repaid loan to your name, a decent score, and a new credit history showing that you’re no longer a high-risk borrower. This will make you far more eligible for other loans and financing plans in the future, establishing a solid foundation upon which to build in years to come. Still, it’s not only those with poor scores who may benefit from an auto loan; it can help people with little or no credit history at all. First-time buyers can find themselves struggling to secure a loan, as they have no way to demonstrate their worthiness or reliability. No credit cards and no charge accounts mean that lenders will have no credit history to draw on. In such cases, they will be unwilling to offer you any financial support at all. Finding an auto loan can be as much of a challenge for those with no credit history, but finding a lender willing and able to help you can make all the difference. Once you have the loan, you’ll be able to build your score with regular, timely payments and showcase your ability to stick to deadlines, meet targets, and manage your finances responsibly. How can Citi Auto Group Help? At Citi Auto Group, we pride ourselves on providing you with the best possible loans for your current situation. When you come into our dealership, we’ll introduce you to our own in-house financial department. You’ll be able to sit and talk with us about what type of vehicle you need, how much you can afford to pay each month, and more. Once we’re familiar with your expectations and budget, we’ll help you get the perfect vehicle, with a loan that’s right for you. It’s that simple. Citi Auto Group will help you get behind the wheel of a quality used car or truck that’s ideal for your budget. No matter how much your debts may have increased, or your money-worries mounted, we’ll make securing an auto loan quick, simple, and hassle-free. You may think that getting an auto loan is bound to be a major chore, demanding hours to fill in endless forms and subject yourself to all manner of questioning and cross-examination. This may be the case with some lenders, but not us. Don’t let your low credit rating or lack of a credit history put you off coming to us for your auto needs. Our expert team has worked with many customers with poor credit scores; people who initially came to us thinking they would probably be turned away, as they have been elsewhere. Banks and other lenders can be notoriously ruthless, taking your personal financial history as a summary of your entire ability to manage your own money. We prefer to give everyone instant approval and place trust in you to make timely payments that fit your budget. This has proven successful for us and our customers, helping so many people get back on the road without hassle, whether for their personal or business needs. You have a number of options to get started with the application process. You can use the loan calculator on our website, which provides you with a quick, simple way to see how much your monthly payments might be, based on the amount you wish to borrow and the number of years to pay it back. Remember, the longer the term is, the lower your monthly payments will be. Or, you can go right to our application form, which enables you to input the personal and financial information needed for us to evaluate what type of loan would be best for you. Our financial department is experienced helping customers on all budgets, with all vehicle requirements, and can help you get Instant Approval for the financing you need. We have an extensive inventory of quality used cars and trucks from most of the biggest and best manufacturers, with many options available. To learn more about getting a vehicle that matches your needs, and financing you can afford, please feel free to contact us. You can give us a call at 215-744-6901, or drop by our dealership at 4160 Torresdale Avenue, and talk with us in person. Our staff is looking forward to helping you with your new car purchase.